This is a fun project for a corporation in TX that needed a way to track OT for employees for legal reasons. The employees are prompted to sign in once a week to enter OT worked or confirm that they did not work any. 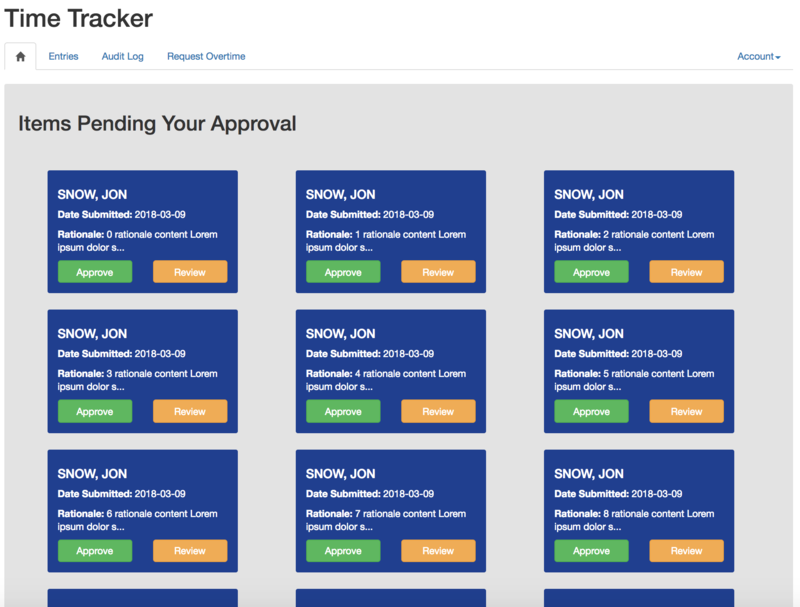 There is an admin dashboard for managers to review and approve OT.